A hundred years ago… this week the South African/British invasion of German South-West Africa (later Namibia) re-emphasised the “world” dimension of the Great War, but the bloody to and fro on Western and Eastern Fronts continued via marginal successes for the French and German Armies, while ancient and modern fighting methods both had their days with British (Zeebrugge) and German (Cloister Hoek) air raids in Holland on April 1, a Thursday that year, and a Russian cavalry victory against the Germans in northern Poland the following day. Meanwhile, the tangled build-up to Gallipoli detoured to the Black Sea where, on April 3, a German/Turkish squadron fought what’s reported to be one of the most tactically complex naval battles ever, if this wikipedia account is right – although it ended with battlecruiser Goeben and light cruiser Breslau successfully running back to the Bosphorus, and no decisive outcome. But the two German ships had, the previous November, played what Churchill, then First Lord Of The Admiralty, saw as a fateful hand in drawing the Ottoman Empire into the war by attacking the Russian fleet in the Black Sea. 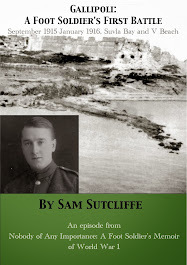 Down in Malta, though, my father Private Sam Sutcliffe’s 2/1st City Of London Battalion, Royal Fusiliers, experienced no hot action, only hot weather. Feeling pleasantly surprised – and a little guilty too, given they’d expected to go straight to the Front in France – the 1,000 volunteers, including 16-year-old Sam’s brother Ted, 18, and their two mates from Edmonton, north London, Len Minns and Harold Mellow, continued feeling their way into the first foreign country any of them had ever visited. ‘Mostly, the weather stayed warm and fine, but Tommy learned that the Mediterranean could occasionally cut up rough. Perhaps for three days on end heavy rain showers would prevent them training in the open. Then instruction, limited by space available, continued in barrack rooms or along the covered sidewalks. ‘So the first few weeks on Malta passed and familiarity with daily complicated drills and exercises achieved the desired result of making the men feel confident and, collectively, a creditable organisation. Although the individual valued his personal standing, in each Company a real feeling of comradeship grew as they endeavoured to at least equal their rivals. In the barrack room one saw groupings develop — two, three, or four men would spend much of their spare time together, playing cards, going to the canteen or outside the camp in their groups. But, overriding these alliances and friendships, all sharing the room showed a common consideration for each other and Tommy felt comfortable among them despite being so much younger. Only one of them could and did shake his composure: George Goodbody*, mentioned during the Battalion’s training days in London. He still had the capability and habit of downgrading Tommy’s ego with a snide remark accompanied by a white-toothed smile which, to match his words and tone, should have been a scowl. Thus, while never saying anything to the authorities, he wielded the bit of power he held by knowing Tommy’s real age. Still Tommy felt fortunate in having roommates who could not be described as coarse in any sense. When so moved or inspired, they would use adjectives which would not have shamed a Billingsgate** fish porter, but all was free of malice to anyone present. Furthermore, every soldier really wanted his Company’s officers to be something special, maybe even asserting that theirs were better than the others. Although some disappointed, of course. Many eyes watched the officers while they did their work; the men could easily identify the most efficient. Those not too fortunate in their leaders showed impatience and near-resentment. But, hopefully, they still gave of their best. Although, by nature, some NCOs and officers were more tolerant than others, most grew used to demanding a reasonable standard of discipline. The average was satisfactory, at least, and most men disregarded the grumblers. * The inappropriately named Goodbody (an alias chosen with Dickensian intent by my father, I think) had loomed over him since the Battalion’s mass marches through London, as my father recalled earlier in the Memoir: “The garrulous Goodbody, his broad shoulders visible over rows of those in front of Tommy, was one of several men he tried to keep clear of. Goodbody had a bright, penetrating eye. Tommy knew the fellow guessed he was too young to be a soldier. Always, if Tommy met his gaze, he seemed about to say something.” Back then, he’d guessed that “once we were out of England there would be no risk of him forcing a showdown”, but, clearly, the man retained his evil-eyed hold over the youngster. ** No longer a household name – nor byword for foul language –Billingsgate fish market operated off Lower Thames Street south-east London from the 16th Century until moved to the Isle Of Dogs, Tower Hamlets in 1981. 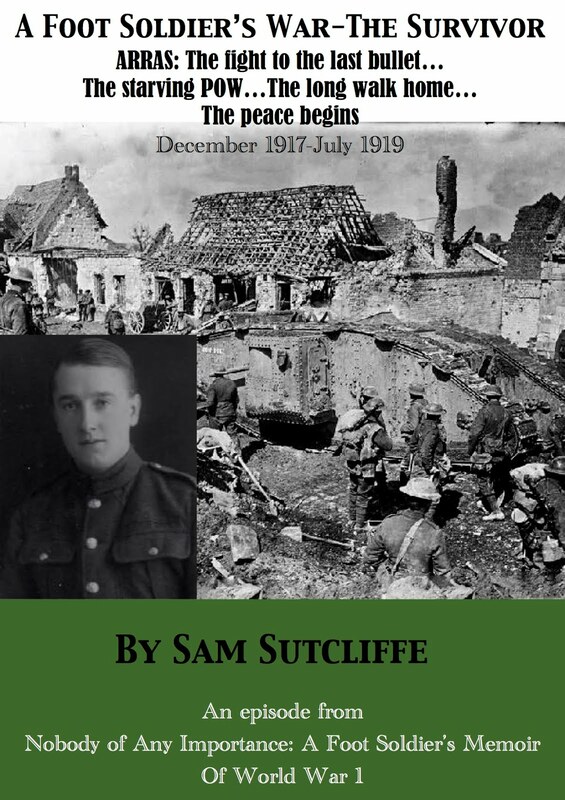 Meanwhile, to his surprise, my father Private Sam Sutcliffe’s 2/1st City Of London Battalion, Royal Fusiliers – 1,000 volunteers, including 16-year-old Sam’s brother Ted, 18, and their two mates from Edmonton, north London, Len Minns and Harold Mellow – began to discover the ins and outs of life in the Maltese sun. 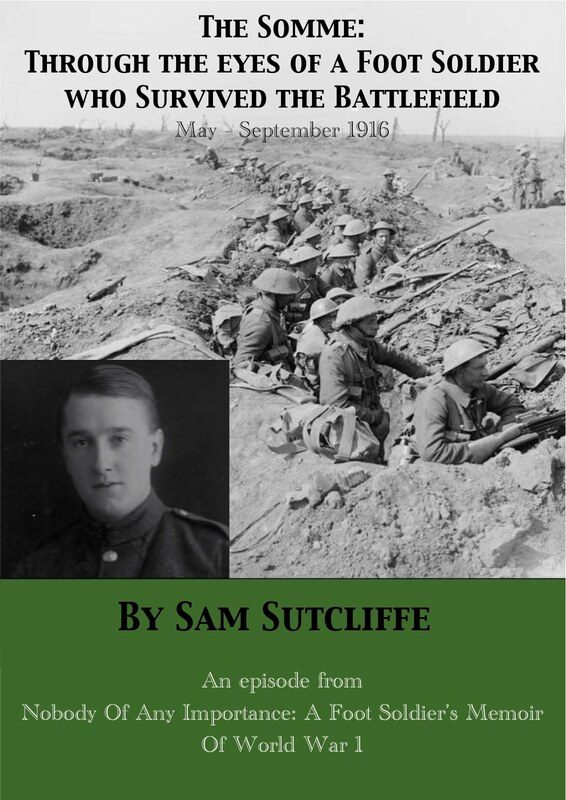 When they sailed from Southampton with no word of their destination, they’d presumed it would be a trench on the Western Front pretty damn quick – though, admittedly, the Army would need to supply them with both rifles and a little marksmanship training en route, something notably absent from their preparations up to that point (square-bashing and digging they’d done in spades, so to speak). ‘The Army forbade swimming in the nearby sea at that time of year; there was a theory that some sort of organism proliferated in the water during the early months of the year and it caused Mediterranean Fever, whatever that was. An old wives’ tale left over from the Victorian era, many men asserted. But orders had to be obeyed. ‘Whenever the men discussed the subject, they cursed that beady-eyed rascal so much in evidence on Tommy’s enlistment day*. 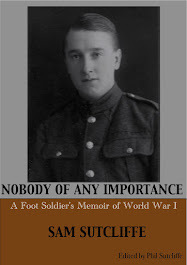 He was seldom seen around the barracks and general opinion held that his job had scared him. Such an unprepossessing person would be fair game for more experienced supply officers. But dozens of men in the ranks at that time possessed more ability than that reptile to do the job of quartermaster in a responsible manner. “Imagine,” thought Tommy, “what strange sort of caterer would so bungle his ordering that men’s breakfasts in a hot climate would consist of strong cheese and onions boiled together?” This occurred on two or three days of each week for a period. It appeared a vast amount of cheese had been stored so carelessly it partially melted. And obviously some bright lad had bought a large consignment of Spanish onions. So someone induced Quartermaster Muggins to take quantities of both. Hence, the repulsive breakfasts.